In one of the bags Pauls holds, the recently harvested cranberry beans are creamy white-coloured with irregular patches of pinkish-red. In the other bag Pauls holds, the cranberry beans are aged, as what happens between harvest and sale, and the beans are predominantly purple-red, with only small patches of white. Darkening is a natural phenomenon and there's nothing wrong with the aged beans, and nutritionally, they’re sound. But to consumers, they’re less attractive than the splashy-looking non-aged beans, which can be sold at a premium in the expanding coloured bean market. It took Pauls and his team two years to sequence and assemble the bean genome. Now they know the precise location of all of the bean’s 29,400 gene sequences. That includes sequences responsible for colour change and other traits such as disease resistance and yield. 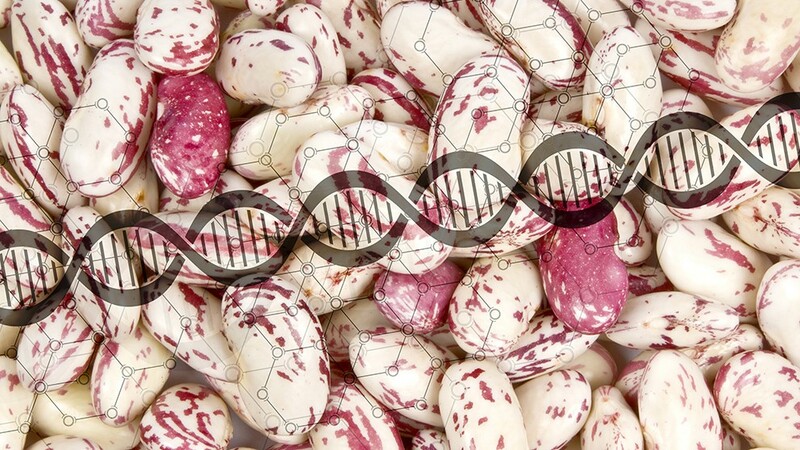 With this information, Pauls’ team, or scientists in a lab elsewhere, can work at inactivating that colour-change gene in cranberry beans, contributing to bean producers’ profitability. That’s one practical use of a new approach to plant and animal improvement called gene editing. Gene editing is part of the precision agriculture movement, so named in this case because it closely and precisely targets the genes researchers want to alter. Scientists are also able to deactivate undesirable genes, turn on silent genes and add others that lead to an enhanced agronomic trait, for example. “The strength is that it’s so specific,” Pauls says. One of the most popular approaches to gene editing is called CRISPR, an acronym for clustered regularly interspaced short palindromic repeats. It works by inserting a protein that cuts the targeted DNA. It naturally repairs itself, and when it does, the undesirable trait – like the darkening in cranberry beans – is gone or inactivated. Researchers can also insert a trait with the protein that cuts the DNA. The trait is incorporated into the DNA when the strand repairs itself. Some of the most promising possibilities include eliminating allergens in wheat and peanuts by inactivating the gene in the DNA coding for the protein to which people are sensitive. Another possibility is herbicide resistance, by mutating certain genes to make them insensitive to a particular herbicide. And yet another is yield increase, by inactivating yield-limiting genes. Efforts are underway in other labs across Canada to improve crops using gene editing. Efforts are underway in labs across Canada to improve crops using gene editing. At the University of Manitoba, a research team in the Brassica Breeding Program is working to identify and improve canola’s protein content and quality. Lead researcher Rob Duncan says new developments by his group could be a game changer for the industry. Traditionally, the focus is on canola oil and fatty acid content, with less research directed to improving aspects of protein-related traits. Duncan says increased protein content and modified content of the storage proteins cruciferin and napin in canola would make the meal and protein extracts highly valuable in human food products. Gene editing allows plant researchers to closely and precisely alter targeted genes and reduce effects that limit production and consumer acceptance, therefore working to increase producers' profits.